The Marys River Watershed Council relies upon a variety of partners that support stewardship of the Marys River and nearby streams. Please contact us for more information about partnering with the Marys River Watershed Council. OWEB has been a generous funder of the Council since 1998. By funding restoration projects, education, community outreach and general operating support, the Council has a strong 20-year track record of success. 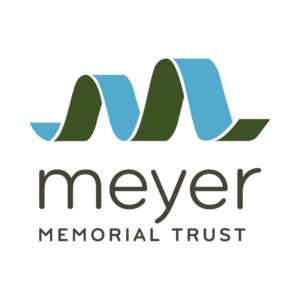 Through its Willamette River Initiative, the Meyer Memorial Trust provides support to the Council for restoration and capacity building. The Marys River was one of seven watershed councils selected to participate in the initiative’s model watershed program, a 10-year funding commitment that runs through 2019. Our model watershed projects have had a major impact on the health of the Marys River watershed. The USFWS’ Partners for Fish and Wildlife Recovery programs support the Council’s work with landowners in the Wren area who work with our staff to enhance habitat for Fender’s blue butterflies. The City of Corvallis provides support to the Council for annual stream temperature monitoring that helps MRWC better understand the health of the Marys River watershed. In addition, the Council and City of Corvallis collaborate each summer to bring environmental summer camps to 3rd grade school students. 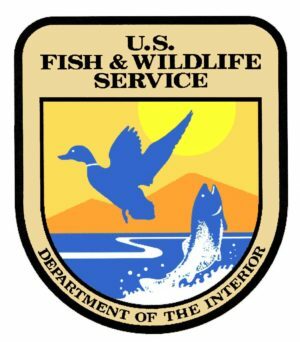 Bonneville Environmental Foundation brings organizational services to the Council that increase our ability to remain a strong and viable community partner. In partnership with Meyer Memorial Trust, BEF has supported MRWC since 2008 through the Model Watershed Program bringing watershed restoration expertise and organizational consulting that makes our work in the Marys River watershed much more effective. The Co-op in Corvallis has been a generous supporter of watershed stewardship by including the Council in their annual Beans for Bags program. Grocery shoppers give to MRWC with every shopping bag they bring to the store, and drop a green coin in the box at the door! In addition, the Co-op collaborated with the Council to make the 2018 watershed citizen survey project a great success. The Chambers Family Foundation is supporting the Council’s Connect program by supporting our work to stay connected with people who live and work in the Marys River watershed. The Oregon Community Foundation supports the Council’s Education and Connect programs that brings us touch with youth and citizens who want to learn more about the Marys River watershed. In addition, the OCF Advised Donor program provided funding to support our watershed citizen survey project. 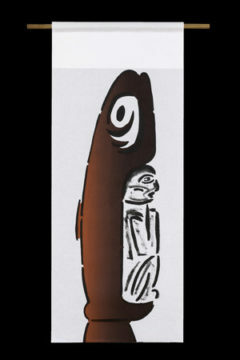 Gabe Babcock, a local artist and entrepreneur, created the Salmon Banner Project that began in Salmon Bend, CA by the Y-ē-Slah clan. The project has migrated to various coastal rivers as a sign of hope and welcome to the Salmon returning to their home waters to spawn. MRWC is a fortunate recipient of Gabe’s passionate vision, generous heart and artistic talent! 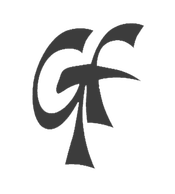 GTF provides the Council with in-kind support each year at our annual meeting. Every table is decorated with gorgeous fresh flowers grown right at Gathering Together Farm. One Tree Planted provided the Council with funding to purchase and plant native trees that greatly enhance the Marys River watershed. Cardwell Hill Cellars recently generated support for MRWC’s work in the Wren area through sales of its Fender’s Pinot Noir. Our Prairie & Oak restoration efforts are greatly enhanced with generous support of landowners who understand the importance of butterfly habitat in the Marys River watershed. B&G Logging & Construction made a generous contribution in support of MRWC’s Environmental Education program that inspires our next generation of watershed stewards. Each year more than 200 kids, and their teachers, benefit by learning more about our natural areas.